Family portrait sessions may take place in your home or on location at your favorite park. The sessions last about one hour, and allow Kelly to capture a variety of natural poses and candid moments with your family. Sessions can be for the whole family or just your children. 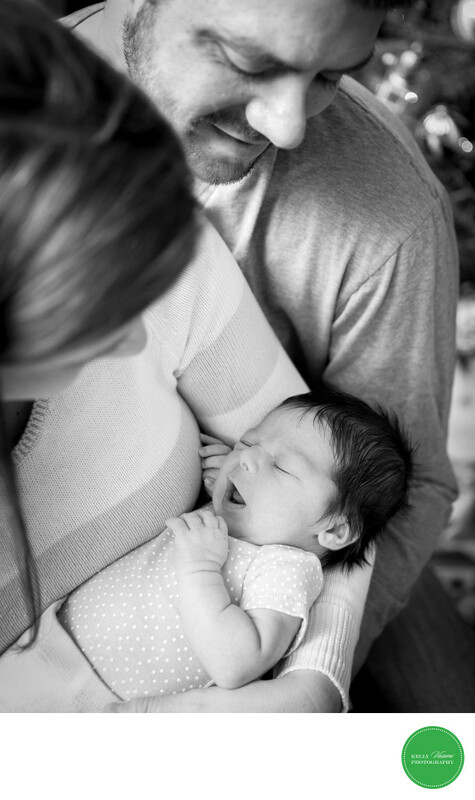 Newborn sessions take place in your home within the first 10 days of baby being born. These sessions are typically scheduled for weekday mornings and can take up to three hours. The session can be for your newborn only, or incorporate parents and/or siblings. About three weeks after your session, Kelly will present the images to you in a slideshow at your in-person ordering meeting. Kelly will bring along a number of product samples to help you to place your order. Your custom order will be prepared with care and delivered to you in our beautiful signature packaging.